Los Angeles-based band, Weathers, announce they will be joining indie-pop band, Saint Motel, on their North American tour this fall. The tour kicks off in San Diego, and will be making stops in a number of major cities including Los Angeles, New York City, Philadelphia, and Boston. Prior to the tour, Weathers will also be performing at this year’s Lollapalooza Festival in Chicago. Tickets go are on sale now. See full list of tour dates below. 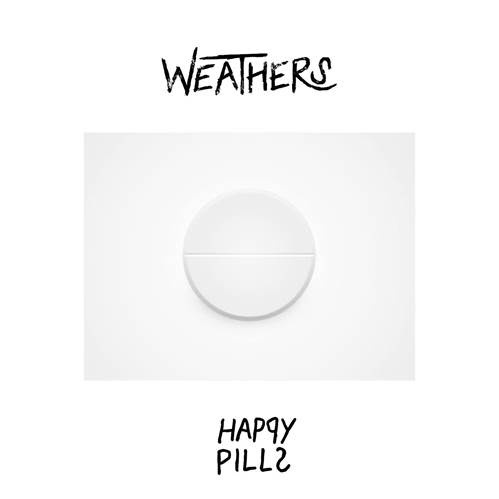 Additionally, Weathers’ latest single “Happy Pills” is No. 1 Added at Alternative Radio. This marks the highest total adds so far this decade for a brand new artist at the alternative format. “Happy Pills” was first introduced via an exclusive Neon Gold premiere (Click HERE). The darkly tinged, guitar-driven alt-rock song is about taking physical or metaphysical “Happy Pills” for a an easy fix, which stems from the idea that our culture has become too quick to prescribe pills to settle whatever ailments people of all ages may have, but these prescriptions may not actually be solving anyone’s problems. “Happy Pills” is now available at all digital retail providers. Click HERE to watch lyric video. The members of Weathers — lead singer/rhythm guitarist Cameron Boyer, guitarist Cameron Olsen, bassist Brennen Bates, and drummer Cole Carson are part of the post-Millennial Generation Z: Social media-saturated kids who grew up in an insecure world and raised by financially stressed parents affected by the economic downturn. It’s no wonder that a skeptical, unsettled mood permeates the songs that the Los Angeles-based band has written since they officially became Weathers in October 2015. Last month, they revealed their first track “I Don’t Wanna Know”. Weathers has played Webster Hall in New York City and The Troubadour in Los Angeles, and performed at this year’s SXSW. With the success of “Happy Pills”, Lollapalooza performance, and upcoming tour with Saint Motel, it is clear the alt-rock foursome is paving the way for a very promising future.